Shamanic Journey as your Shamanic guide link. Shamanic Journey as your Shamanic guide links your soul to conscious connection. In this lifetime and past lives, events shock the soul creating disconnect. Shamanic Journey as your Shamanic guide identifies your soul link. A shamanic practitioner works to heal damage to people's soul. Over time in this lifetime, events shock the soul. What happens then is that it's displaced from the axis of your being. You are born live as a whole integrated being. Integrated with your mind body soul spirit emotions. When you travel through events in your life and even prior to gestation then certainly during birth. Lots of handling is involved. Well meaning people just doing as prescribed. While believing they are really engaging, they are engaging in the physical birth process alone. That itself is a valuable skill, but another skill is required for a holistic presence of the baby whether from the midwife or doctor or of another person who does have this ability all working together not only for the baby's well-being but also the spirit of the mother. Yes there is a lot of talk about the new soul and spirit and birth, but that occurs in separate boxes. How Shamanic Journey Spirit healing works is best described in this therapy event video. This lady shares how everything is now linking. She says "I feel whole". She says she was aware that she was disconnected. But did not know what to do about it. Now she was guided to follow her inner shamanic journey. Here is a video of some of my Shamanic Journey from birth. The being who has just arrived feels this as manipulation and interference rather than the emergence that can be practiced. So at the very beginning, this new life comes in fractured. Then the all well meaning system, rubs, cuts the umbilical cord, jabs the baby with medicine. All this before the baby can integrate and familiarise itself with the new world it has just landed in. At some stage later in life when life as it has been become too much. 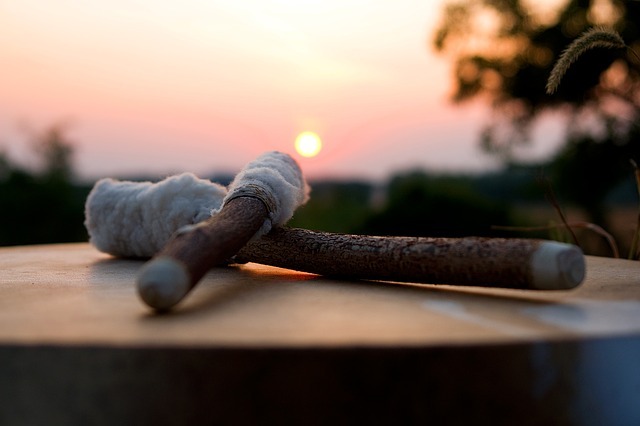 Your soul and body begin to seek Shamanic Journey with a Shamanic Healer. Shamanic journey can begin when you seek connection to your body spirit mind emotion soul. This often involves travelling outside of time to bring the spirit and soul in alignment with the body. A video of client talking about that will help you to understand what that means. These are experiences that people share. The most important aspect of the therapy is bringing in the wisdom gained in the journey and applying that to your life. To verify my shamanic training by my guides and what my clients felt, I researched depths of other ancient cultures. On my way I came across this man; here is his sharing about what is possible within shamanism. Here's the story in this video in his words. For me, my shamanic training came from my own inner teachers in spirit. These teachings came in a form of interactive healing sessions with my clients. Teachings for me came in the form of immersion with real live events. This indicated that I brought in knowledge from previous lives. None of what I do to my knowledge is being taught. These were private initiations through successful transmutation of energies with my clients. At times success was very limited due to the clients persistent resistance. In that I had to learn how to take them beyond their resistance. Resistance is fear of moving on from the mundane. Our conditioning to grasping onto what we know is so deep. This has been enforced upon humans over thousands of years. It is so common that the mundane has become the comfort zone. I had to find reverence for their stuckness. I cannot say that was easy for me. We all want to make significant contributions to the world around us that we have to continue to work on ourselves to ensure we do not take on the frustration of being unable to reach some people. What I found is that given the right preparation to perspective client, this resistance does not occur. What I began to realise is that the clients have lost faith in any form of spiritual awakening. This is primarily due to the many ways they have tried to approach their issues and the people who have made promises and could not deliver. It is absolutely imperative that you listen what my people have to say about their experiences. The physical mental and emotional revelations they had in their sessions. For example one man's hearing opened up within the first session. Another - 20 year shoulder pain disappeared. Another; the whole world lifted of his shoulders. One of my clients was guided by my spirit associates and was given vital wisdom during her session. You cannot get as much out of teachings as you can from hearing peoples actual experiences. This makes it real. This makes it doable. All you need to trust in the process and all will be revealed to you. To your unique lifetime. No one on this planet has come to live the life you were destined to live. You have been prepared for this lifetime in your previous births. You have mastered you to a certain level. Now you need to trust yourself to open the vault of consciousness. This deep and profound level of consciousness is imprinted within your cellular memory. When your soul, spirit and body unite, these levels of consciousness begin sending you code and wisdom of universal knowledge combined with potential of what you can achieve in this life time. Together we access you vault this needs both of us to be present to ensure you do not run away from the treasures within you own cells. These treasures are so profound that the feeling of joy can overwhelm your inner journey. We want to ensure it is not just a curiosity journey. The reverence and honouring is the fundamental key to accessing this wisdom responsibly Because this can change the course of your life. This vault must be approached with absolute reverence. My support is necessary because people get very self conscious in this space of reverence that the energy creates. It is so tender yet as powerful as a lightning. The combination of the two can overwhelm you. We are currently in a culture of absolute disregard and disrespect for the divine. People have become slaves to their electronic devices. These technologies are controlling every aspect of our lives. This need not be so. It's imperative we manage the technology rather than allow it to manage us. This has happened in our distant past. The Atlanteans (advanced human beings) for example were very advanced technology wise. In the process man of the inhabitants were behaving as programmed robots. This is happening again. I know this because many of my clients have shared that they could see my helpers and myself when we worked in Atlantis. These events led me to do further research beyond the normal healing belief systems. My people were experiencing not so much a healing but a full expression of life as it would be here and now. All they needed to do was put into action what was revealed to them in their visions and physical experiences during our sessions. You see the problem with today's culture is that most humans knowledge is confined purely to their world of the five senses. True Shamanism extends to our spiritual faculties. The entire civilizations of the earlier Atlantis time people reasoning was far beyond ours. They had clear memory of similar situations. They then adjusted their current situation by advancing from what they know to the current situation. The solution was not based purely on past event, but on past events combined with current events. That way of calculating was direct yet far from linear. Because the Atlanteans had experience a great deal, therefore he/she had access to real situation for solutions. They did not rely on authority to learn how to learn. They learned by fully participating with life. Not just learning then trying to extract information to put into action. That is a clumsy ann. laborious way of understanding anything. In this lifetime I have brought with me my prior knowledge. For my shamanic journey in this lifetime I was put through the common life in order to test me. Situations were created. I had to find ways to overcome them through my unique way of thinking. The accepted way of human thinking was even painful for me. It is hard and lacks sense of spirit. The Atlanteans were the ultimate shaman. I have been on shamanic journey from the day I was born. Naturally I did not know that until I experienced the shift. This is how I know that you do not know what you do not know, until you know. These events led me to do further research beyond the normal healing belief systems. My people were experiencing not so much a healing but a full expression of life as it would be here and now. All they needed to do was put into action what was revealed to them in their visions and physical experiences during our sessions. It is the time that they lived in environment as closes to nature as possible. Where thing went wrong was the the introduction of technology that began to dull the human mind and perception. Until then they were fully connected to their soul and spirit. Therefore they were totally connected to planet earth. They lived with people with common goals that they put into creation. Then they misused their power by relying purely on the mind. The mind separated them from their soul and spirit body. The body was left defenceless to the overtaking of the mind. People have been suffering ever since. There is a profound way of getting out of the mind and simply into action. Much like a toddler does as they are learning to walk. They do not calculate inn their mind what muscles have to cooperate in order for them to walk. They do not have a mind talk with themselves. They do not create a plan of action. They just focus on what they want and where they want to be. They go for it. This is the most powerful mindset to live within. I will share with you how. I shall take you on your own personal shamanic journey.